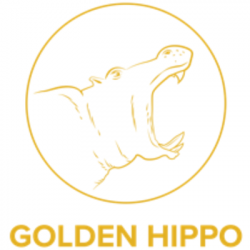 Golden Hippo Media is a young, growing company committed to helping everyone access cutting-edge health, wellness, and beauty products in partnership with some of America’s top doctors. 1. Open, honest communication at all levels of the company – brand new and want to talk to the owners? Need to leave anonymous feedback for HR? No problem! 2. Test everything, fast – no idea’s too “out there” to try, so we test them all, and welcome failure… it’s how we learn and improve. 3. Providing “wow” support – whether it’s supporting customers through incredible products and customer service or supporting coworkers through collaboration, problem solving, and great perks. 4. Mentoring one another – everyone’s got unique talents, and we’d be idiots to ignore them, so we encourage employees to lift each other up, mentor one another, and carve out positions that make the most of their talents. Golden Hippo is not a “conventional” workplace – and we’re not trying to become one. If you’re most comfortable punching a clock, doing the same thing every day, and going home with your work largely unnoticed, you’ll likely hate working here. We’re certainly not somewhere where you’ll do the same thing day in and day out. Most importantly, we’re not a place for people who are afraid to fail, nervous to take initiative, or uncomfortable going above and beyond the call of duty. We work hard, but we love to have fun, too. That means a dog-friendly office, a fully stocked kitchen, free crossfit, monthly happy hours and birthday lunches, and more. And don’t even get us started on our benefits!